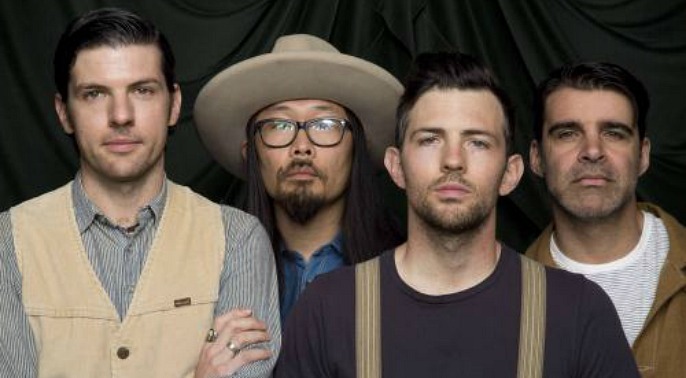 The Avett Brothers canceled their sold-out show in Troutdale, Oregon Saturday night after a man with a gun entered the venue and disappeared into the crowd. According to a statement released by the band via their website, a man was discovered to be carrying a gun after passing through the venue’s metal detectors. A security officer informed the man of the venue’s no-firearm policy to which the man claimed that he was an “out-of-state” police officer, showing an alleged badge. Security asked the man to wait while they confirmed his identity but he disregarded the instructions, entered the venue and disappeared into the crowd. When security was unable to locate the man, the obvious safety threat forced the Avett Brothers to cancel the show. “This evening, during the admission process at our show at the Edgefield McMenamins in Troutdale, Oregon, an individual passing through the metal detector was found to be carrying a gun. When confronted by the security guard and informed of the no-firearm policy of the venue, the individual stated that he was an out-of-state police officer and showed a badge. The security guard then asked the individual to wait for the manager so his entry could be confirmed. The individual disregarded her instructions and ventured immediately into the size-able audience. After an exhaustive search of the venue by the security staff of both the band and the venue, the individual was not located.